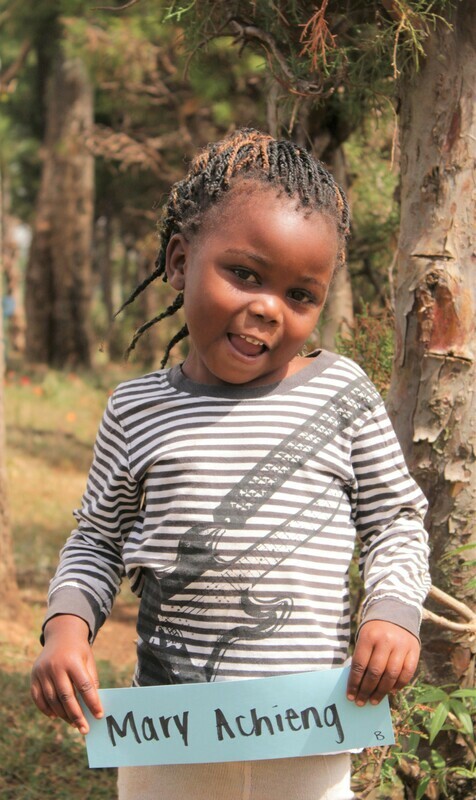 ​In 2015, in partnership with the Odoyo family of Dago, we began a sponsorship program for pre-school children, ages 3-6, in Dago, Kenya. 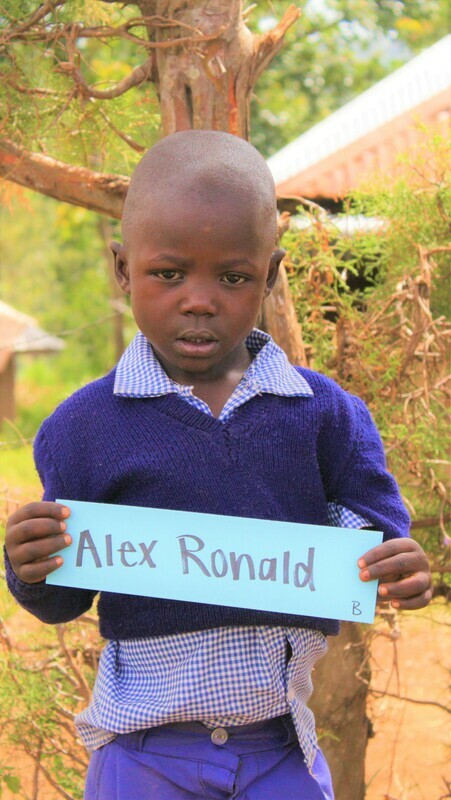 A $300 per year sponsorship includes school fees and supplies, teachers' salaries, uniforms with shoes and socks, sweater, backpack, and 2 warm meals a day which includes food for not only your sponsored child, but all the children! 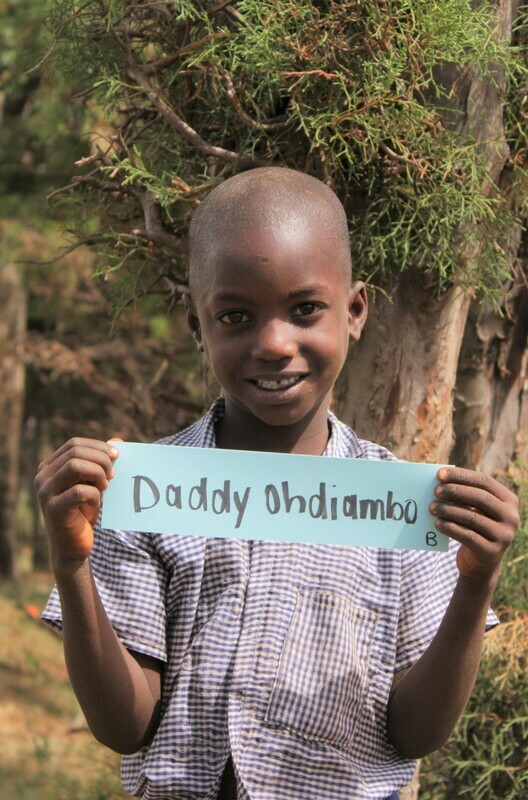 36 of the 95 children are sponsored now, and we invite you to join our sponsorship family! 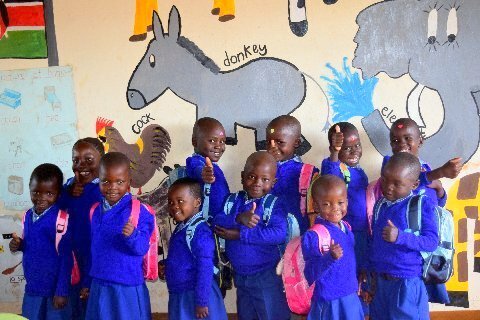 We will be visiting the children during our trip to Kenya in February 2019. 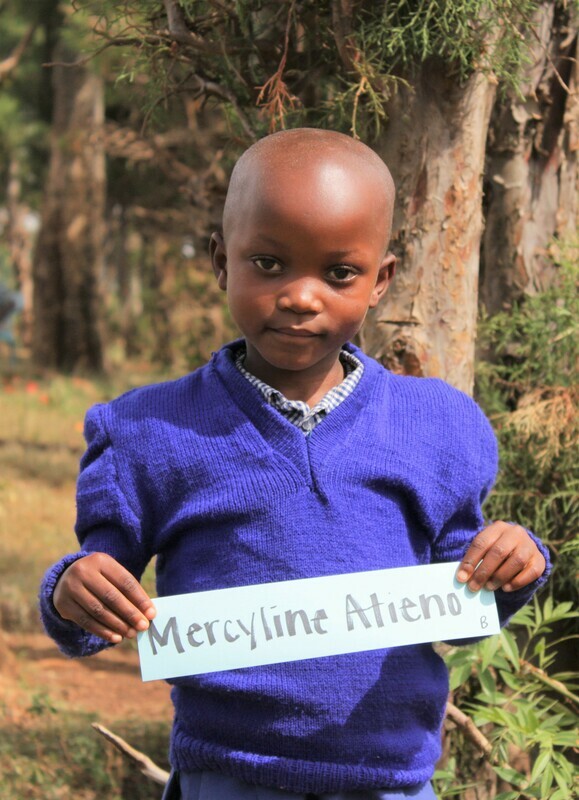 It's easy to become a sponsor! Go to www.aldersgateum.org. 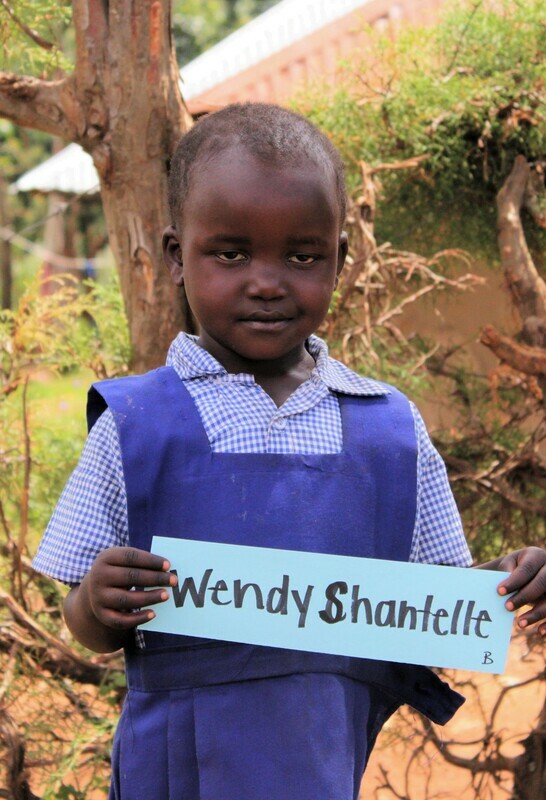 Click on "Give" and contribute as a Guest, scrolling down to Kenya Missions. 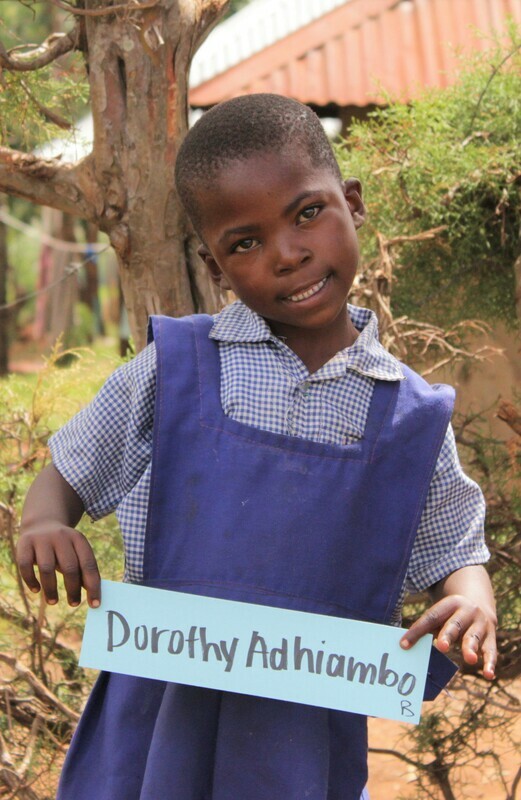 Click on dropdown menu, check "Dago Child Sponsorship program $300 and enter $300 in the amount. 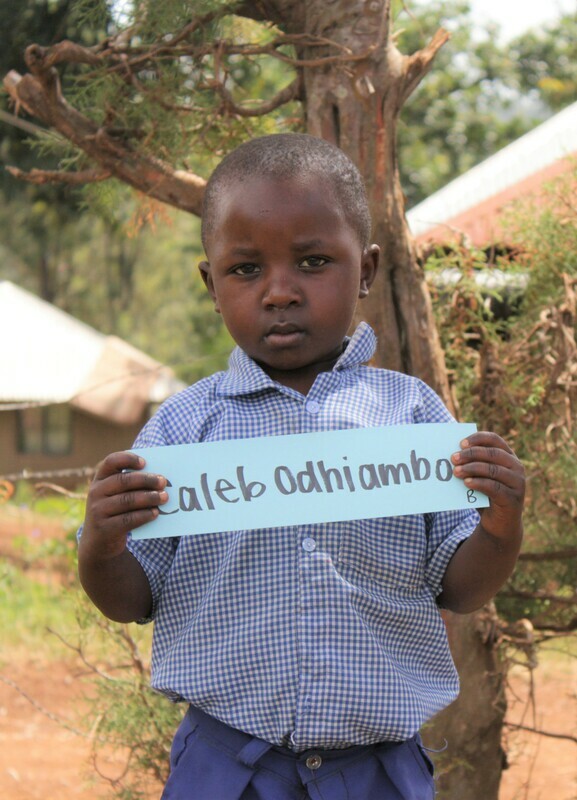 Then email lynn.renne@aldersgateum.org with the name of the child you'd like to sponsor! and are 3 - 4 years old. They are waiting to be sponsored. 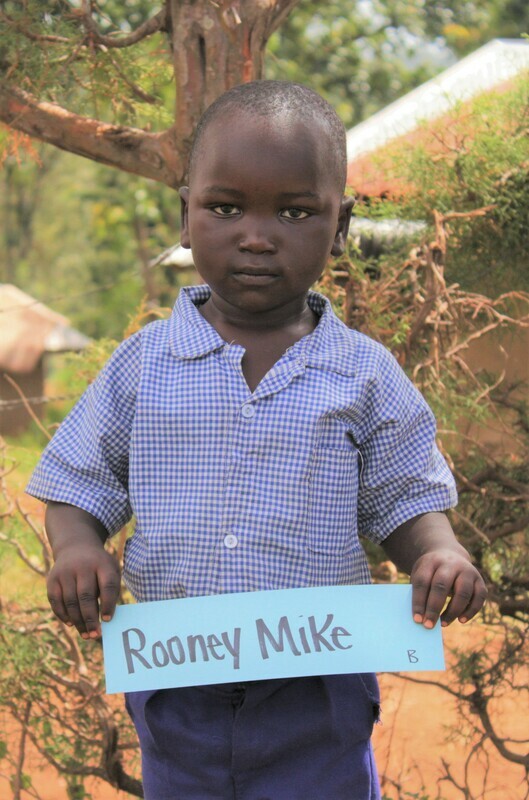 ​ child you'd like to sponsor. 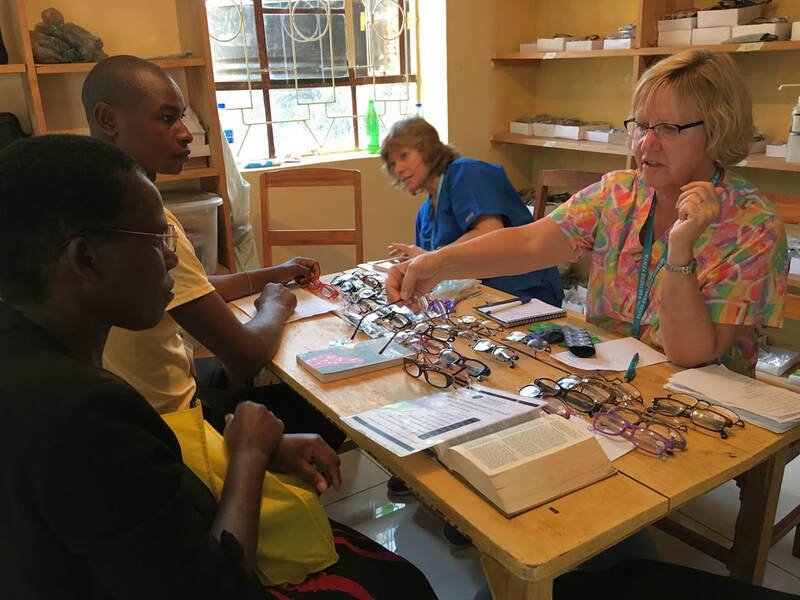 BACKGROUND: We have held Medical/Dental/Eyeglass Camps once or twice a year in Ekerenyo, Kenya, since 2010, and Eyeglass Camps in Dago, Kenya, since 2012. We test for reading glasses and prescription glasses, and screen for cataracts. Needless to say, vision care is a very much appreciated ministry. 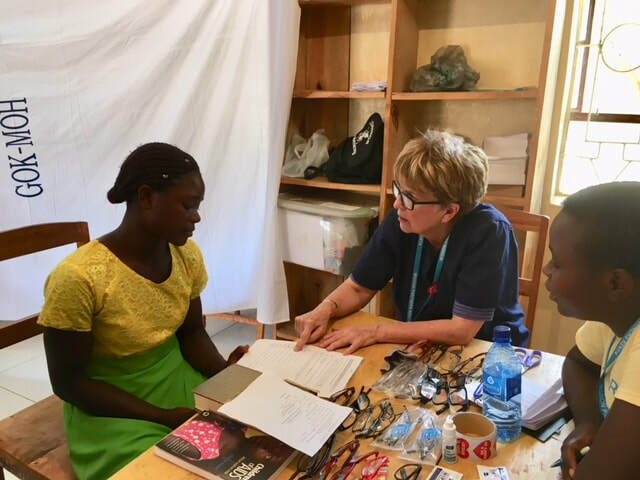 Reading glasses: We collect over 300 pairs of readers from people who graciously donate them throughout the year, and give out all of them to people who are not able to read because of poor vision. 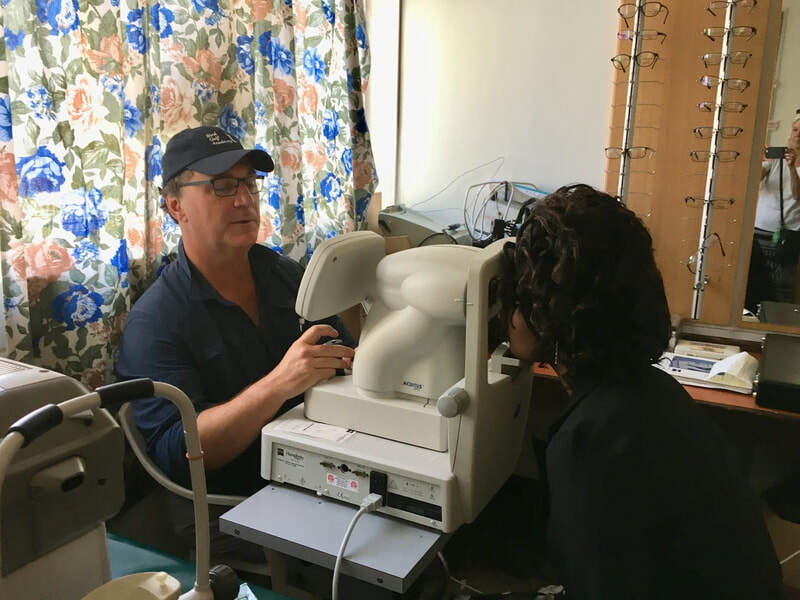 Prescription glasses: We partner with Holland Kendall Optometry Ministries in Louisville. This company provides us with used prescription glasses that have been measured for strength in each lens. 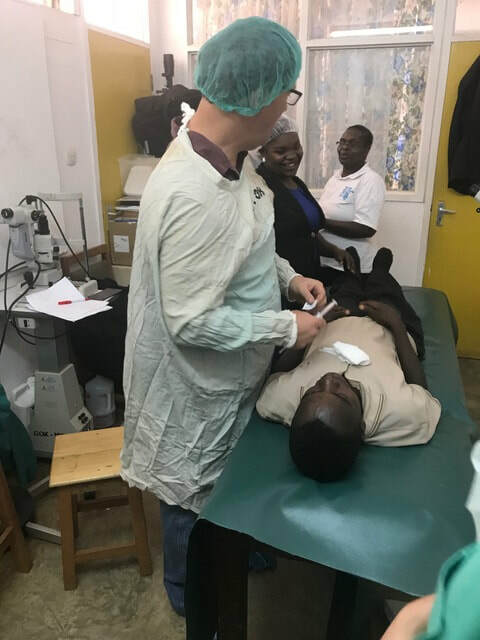 These strengths are then entered into a computer program that allows us to find a good fit for each person, through the use of an auto refractor machine that we take with us to test eyes. 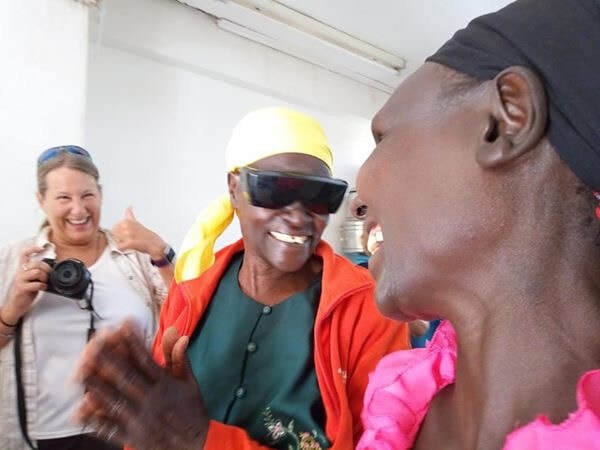 We keep 2000 pairs of prescription glasses on site in Kenya, and on the next trip replace all those we have given out. 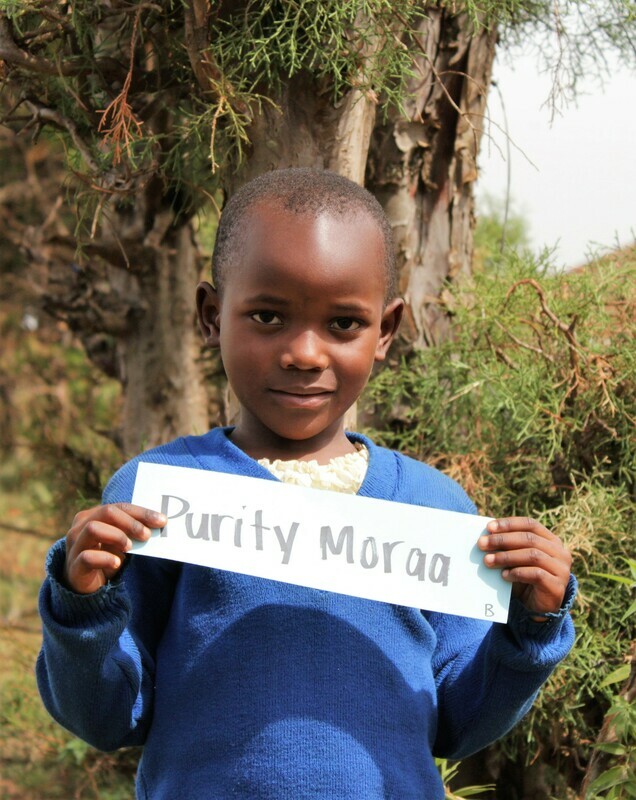 Each camp we give out over 200 pairs. 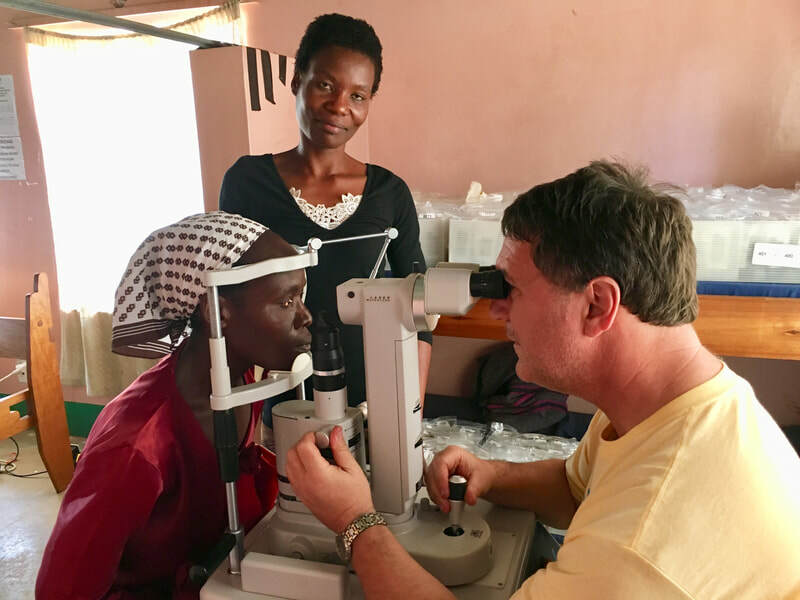 Cataract Surgery: Over the years we have seen that many people have cataracts, and Dr. Michel Gelinas from Wisconsin is helping develop a cataract surgery program in a hospital about 30 minutes from the village. 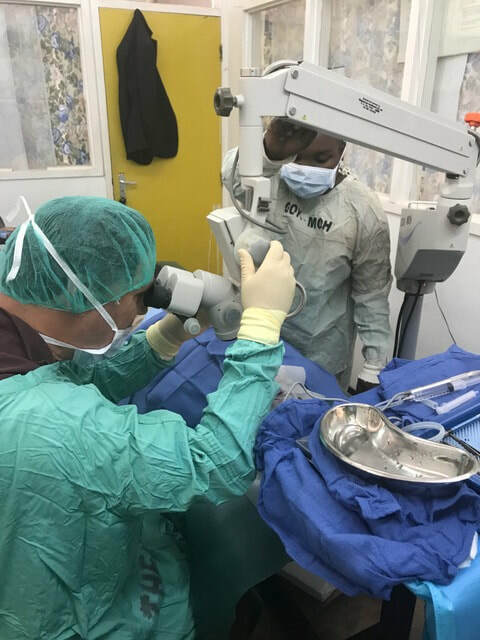 Fundraisers have raised money for equipment needed, and a local Kenyan surgeon is being trained. Click on "give" which will take you to Aldersgate UMC Contribution page. ​If you are interested in joining one of our Short-Term Mission Teams, please email Lynn Renne at Lynn.Renne@aldersgateum.org for more information! We travel to Kenya in February and July each year for two weeks and include a safari in the adventures.